Men who possess my Tao are princes in this life and rulers in the hereafter. Lao Tzu is the founder of Taoism in 500 BC. Taoism is both a religion and philosophy with roots extending to ancient shamanism. It is codified in the Tao Te Ching, history’s second most translated book after Christianity’s Holy Bible. Its eighty-one poems were written in 500BC by the Sage, Lao Tzu. Interest in the Tao Te Ching has remained largely unfulfilled due to its mysterious interpretations, often contradictory and sometimes bizarre. These conflicting views are regrettable because Lao Tzu insisted on Ultimate Clarity, with confusion regarded as a cardinal sin. It’s ironic that mystification shrouds a philosophy that allowed neither internal contradictions nor imprecise logic. With so many different explanations available, Taoism has become difficult for Americans to grasp, making it fascinating but also vague. The Temple of Original Simplicity is committed to teaching classical Taoism without the distortions of time and culture, holding to the core philosophy intended by the Great Sage. affect one another and keep one another in place. For 2500 years, the Taoist principle of Yin/Yang has been depicted in a familiar circular symbol known throughout the world. It is worn on bracelets, appears on clothing, and is used in corporate logos. This symbol represents core Taoist principles, with some interesting nuances, which are central to its philosophy. Since Taoism’s philosophical and religious system is built on a holistic view of reality, its yin/yang symbol is foremost a representation of Universal Oneness with black and white colors alternating within a single circle. Thus the duality of all phenomena — whether summer and winter, male and female, or life and death — are shown to be opposing manifestations of the same principle and should not to be viewed as independent phenomena. This depiction of Oneness and its Opposites are integral to understanding all of Lao Tzu’s poetry. The yin/yang symbol is half white and half black, each side representing a polar opposite. Note, too, that the symbol is neither predominately white nor predominately black, but equal portions of each. This is meant to represent the balanced proportions of our universe as found in nature. For example, both day and night are needed in roughly equal proportions for life on earth to thrive — 24 hours of daylight or 24 hours of darkness would be disastrous. The symbol also exhibits a rotating pattern between the two colors, suggesting a continuous exchange or movement from black to white and from white to black, like day to night and night to day. These natural manifestations of the yin/yang principle illustrate how opposites must balance for harmony to be achieved. In Chinese medicine, the balance of yin/yang forces is the most important of healing principles. Understanding yin/yang forces is essential to successfully building one’s path through life. For example, the yin/yang symbol has a definite line between the white and black areas; a well-defined contour distinguishing the two colors. This clarity of color symbolizes the need for clarity in all aspects of a life. Gray isn’t found in the yin/yang symbol. Clarity requires one to commit to do nothing halfway; or to paraphrase an old adage, one shouldn’t try to sit on two chairs. In becoming a spiritual person, a clear purposeful understanding of what is happening is required to determine appropriate action. Caution is required when black and white mix to form an uncertain gray. Unfortunately, confusion will invariably arise when presented with new situations during the course of life. Periods of confusion can be expected, much in the same way that each day transitions through twilight into night. It is the goal of the Taoist, however, to keep his twilight — his period of confusion — as short as possible. As in nature, twilight does not last 24 hours. Some people seem to embrace confusion, chasing the twilight. They fear decision-making because it carries responsibility for action. For these people, the line between yin and yang is blurred as they remain passive in ambiguous periods. Taoism’s strategy, instead, is to gain clarity and not stay in the middle. Sometimes this can be hard as decisions to achieve clarity may involve uncomfortable conversations followed by tough action. For example, not confronting a dysfunctional and unclear relationship — both personal and professional — comes to mind. It is equally important to distinguish clarity from purity. A clear vision of the world and decisive navigation throughout life should not be based upon unrealistic expectations of purity. The futility of searching for absolute purity is illustrated by the small white dot in the black area and the small black dot in the white area of the yin/yang symbol. For example, one has no trouble distinguishing day from night, and yet there is not pure darkness at night — there is still some light from the moon and stars. Similarly, when an accomplished artist paints a tree leaf, he mixes in a little brown and yellow paint with the green to achieve a natural, lifelike appearance; a child painting the same leaf would use pure green, which appears artificial and unnatural. Embracing the power of opposites is necessary for most phenomena to function correctly. An athlete knows muscles grow only if intense physical training is followed by a period of relaxation — otherwise over-training results in damaged muscles. A military officer cultivates tactics for aggressive attack, but also understands how to retreat. Lao Tzu emphasized this inclusion of a small component of opposites, warning that the male part of any phenomenon should “embrace the female.” Thus a natural path does not seek unrealistic purity, but rather a harmony of opposites. If only history’s fanatics understood such a concept! So with the philosophy of the yin/yang symbol understood, how can it be applied? Given the unity of Taoism, there are applications in the physical, mental and metaphysical realms. The yin/yang symbol is a circle and not a square; there are no straight lines in nature. In fact, any dynamic motion is more efficient when following a trajectory similar to the yin/yang contour. Thus, the physical motions used in Tai Chi and Chi Quong are circular and not straight in order to better accelerate the body’s natural energies. Martial artists develop increased power by using yin/yang circular motions that are anatomically correct and optimal accelerators. In the intellectual realm, the yin/yang’s symbol offers a valuable tool for sorting out life’s priorities and making difficult decisions. It turns out that it’s easier for the mind to comprehend what is not wanted, rather than what is desired. For example, if asked what a person wants out of life, there is often confusion and bewilderment. However, by mentally exploring what is not wanted, the desired aspects become clearer and clearer. It turns out that investigating the opposite side of any phenomenon often provides an easier path to enlightenment than the more direct approach. This is a valuable technique that can be immediately used without specialized training. Death haunts us. Its inevitability is one of the most important driving forces in life. Its uncontrollable arrival is feared and the loss of loved ones lamented. However, the yin/yang symbol illustrates a profound philosophical view that provides comfort. It turns out that the symbol’s rotation of colors represents the journey of the soul and prompts this question: If you fear what happens to your soul after it departs the dead body, shouldn’t you wonder where it came from when it entered the body? That is, the soul goes somewhere at the time of death, so it came from somewhere at time of birth. The realization that death is that time when the soul returns to its home is reassuring. It also carries profound implications about the purpose of life. Symbols are important: countries have flags, companies have logos, and religions have icons. Taoism’s yin/yang symbol is remarkable because it represents the faith’s cornerstone principles for immediate application in handling life’s big challenges. Indeed, for Taoists, the yin/yang symbol is its Rosetta Stone. The purpose of Taoism is to explain how the world operates and the best way to navigate through life. As such, Taoism’s Tao Te Ching, written by its founder Lao Tzu, is a practical philosophical manual with principles for achieving daily contentment. This is no easy task in a world full of “chaos, absurdity, and suffering,” but Lao Tzu is able to help us with his ancient wisdom. He defined contentment as the only measure by which we should gauge personal success and how to use it as a filter through which society’s values should be passed. By adhering to this strict test, dysfunctional impulses, like fame and fortune, can be warded off. Finally, the religious aspects of Taoism teach us that a content physical existence will best prepare the soul for that time when the body is cast off. Whether physical, mental, or metaphysical, contentment is the ultimate goal. in that he saw distinctions, he was of man. Taoism is a philosophical and religious system built on a holistic view of reality. It unifies all existence with principles that cut across both the seen and unseen dimensions. Its famous yin/yang symbol represents universal oneness with black and white colors rotating in a circle. This iconic image represents the duality of all phenomena — whether summer and winter, male and female, or life and death — as opposing manifestations of the same principle and not to be viewed as independent. Such an appreciation of Oneness is central to understanding Lao Tzu’s poetry and is fundamental to his philosophy. but develop the nature which is of God. Taoism acknowledges man’s inherent intellectual limitations and consequently avoids concepts that cannot be tested and verified by practical application — reason alone is not to be trusted. This prerequisite requires the Taoist to learn by observing concrete manifestations (“teh”) of larger universal forces and not rely upon speculation alone. In this regard, Nature serves as the uncorrupted manifestation of the Heavens and the model from which a Taoist should take his instruction. By contrast, the nature of Man, as manifested in Society, represents an unending source of confusion and is to be regarded with caution and suspicion. This duality — Nature versus Society — is a distinctly Taoist principle. It treats the creation like sacrificial straw-dogs. Given that the Taoist regards Nature as his model of uncorrupted reality, what is the fundamental lesson to be derived? Lao Tzu permits no confusion on this point with his declaration that “Nature is unkind.” Despite pastoral representations that the natural world is an environment of polite coexistence, observed reality exhibits a harsher truth typified by the strong preying on the weak in the ever-present food chain. Apparently there is little mercy in the natural world as all effort is devoted towards survival. Therefore, Lao Tzu insists “the Sage is unkind,” urging the Taoist to avoid the Siren call of Universal Love and instead embrace a mindset of harsh indifference towards all but a few loved ones. Enlightened self-interest would be the best way to describe this principle to modern sensibilities. The people of the world all have a purpose; I alone appear stubborn and uncouth. I alone differ from the other people, And value drawing sustenance from the Mother. Taoism is a philosophy for the Individual. It regards Society as including confused people who voluntarily submit to beguiling social conventions. Lao Tzu cautions that social conventions may include virtues and behaviors which benefit society at the expense of the individual; i.e. — sacrificing personal contentment for the good of anonymous others. Thus the Taoist separates ineffective virtues from effective ones by understanding that there are helpful individual values and potentially unhelpful social values. This duality of Society versus the Individual is another unique Taoist concept that, in many ways, harkens to early America’s rugged individualism. On the decline of the great Tao, The doctrines of “humanity” and “justice” arose. With the duality of Society versus the Individual clearly described, Lao Tzu goes further by unambiguously identifying the source of detrimental social values. He writes that “humanity and justice” are virtues that may be beguiling, but are in fact harmful to individual contentment. This is a hard concept for many to accept: How could humanity and justice be bad? The answer lies in recognizing that society largely promulgates artificial and not natural notions of virtues. “Humanity” is really artificial love and “Justice” is actually artificial punishment. Lao Tzu advocates more personal and romantic versions of humanity and justice that honestly invoke man’s natural character. He responds only when moved, acts only when he is urged, and rises to action only when he is compelled to do so. The Taoist acknowledges his inherent limitations and how much effort it takes to develop one’s mind, body and spirit. 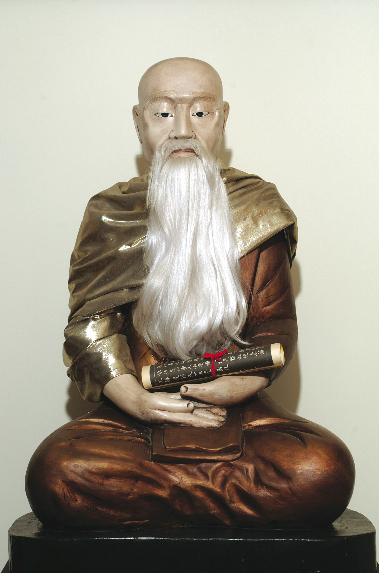 As such, Lao Tzu’s philosophy recommends dedicating all of one’s energy towards achieving personal contentment and not waste precious time interfering with others. This means not trying to change things that do not bring tangible personal benefits. For example, Taoists remain uninvolved in politics because attempting to improve society wastes focus, time and energy with little personal gain. But there is a deeper implication too: Taoists let things achieve harmony on their own, according to their natural traits. By interfering, even in the name of “improvement,” well-intentioned efforts may actually remove a phenomenon from its natural course — and ultimately cause harm. Finally, Lao Tzu’s mantra of non-interference is not a prescription for passiveness. For when something or someone threatens the Taoist (interfering with him), he “rises to action” using the reserve power accumulated by not interfering with others. He who knows where to stop may be exempt from danger. One of its most prescient warnings in the Tao Te Ching is to avoid the popular notion that “the sky’s the limit.” This myth causes people to jeopardize themselves with plans motivated by unchecked desires and unrealistic expectations. Lao Tzu’s anecdote to this common disease is to observe that the natural world is an environment of clearly defined limits; the necessities of survival do not permit confusions about the boundaries of strength, speed or ferocity. In translating this observation to Man, he advises using practical tests to constantly check whether desires are attainable and within our grasp. The weight lifter adds 5 pounds — not 50 — to test and improve his maximum lift, the runner gradually increases his training distance before attempting a marathon, and a student pilot flies to the next town before attempting to transit the country. Thus our inherent desires, including pride, make contentment unachievable without practical tests to remind us of our limitations. This ensures that our mental model of the world is firmly grounded in reality, arresting tendencies to chase chimeras and remain in a content state of what is attainable.